How does GAP insurance work for vans and pick-ups? To the most important question then - what is van GAP insurance? Put in the most simple terms Guaranteed Asset Protection is designed to cover the ‘gap’ between the cost of replacing your van and what your insurance company will pay out in the event that it is a total loss. Unless you have 'new for old' cover, that figure could be much less than the cost of replacing the vehicle or the amount of any outstanding finance. This is the 'gap' that van GAP insurance covers. And depending on the type of policy you choose it can ensure any finance is repaid and/or you get a like-for-like replacement. There are no definite circumstances under which you definitely do or do not need van GAP insurance, but it's important to have all of the facts so you can make the best and most informed decision for you and your business. Which van GAP insurance cover should I get? ﻿There are three kinds of van GAP insurance to choose from: vehicle replacement, return to invoice and finance van GAP insurance. This is the highest level of van GAP cover, providing an additional payment on top of your standard insurance policy so you can effectively get a new van or pick-up in the event of a total loss. Vehicle replacement is usually the most expensive form of van GAP insurance because it provides protection against any potential price rises or discounts that may no longer be available on your vehicle. This means the combined pay out from your insurance and the van GAP policy should allow you to get a like-for-like replacement. The most common level of cover in the UK, return to invoice van GAP insurance tops up your vehicle insurance pay out up to the amount you originally paid for the vehicle. 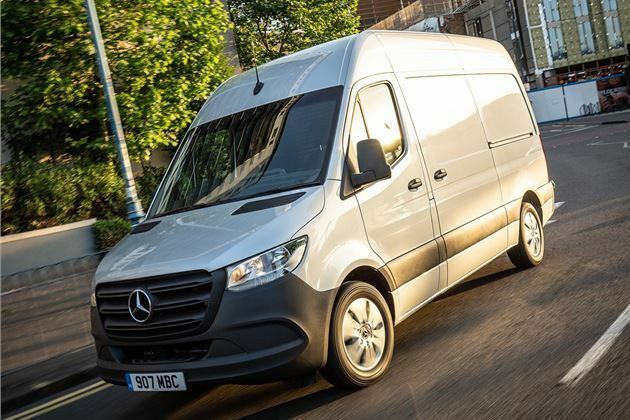 In most cases this will be sufficient to fund a similar replacement van or pick-up, but you might be out of pocket if the manufacturer has changed the model or increased the list price. Offering generally the lowest level of cover, finance GAP insurance is designed to cover the gap between your van insurer’s pay out and the amount of any outstanding finance on your van. Vehicle finance where interest is charged usually means the interest is paid off earlier in the term, so if your vehicle is a total loss in the first two or three years the finance gap is potentially quite large. Which companies offer Van & Pick-Up GAP Insurance? You should always shop around before taking out van GAP insurance - not least if you're buying from a dealer. You don't have to buy van GAP Insurance from a dealer when you buy the vehicle, you can in fact buy it from a number of third-party providers often at a significant discount to a dealer. How does GAP insurance work for older vans? If you already own your van outright then its value now in comparison to when you bought it is key. If it were to be written off as a total loss then your van insurer would only pay out its exact market value at the time it was stolen or involved in an accident and deemed a total loss. And if that presents no problems for you or your business then van GAP insurance might not be a necessity. If you bought your van on finance, however, it may be worth considering finance GAP insurance. This level of cover means that should your vehicle be a total loss while finance is still outstanding, the GAP policy will pay a sum in the event that there is a difference between the vehicle’s value at the time of loss and the finance settlement figure. What type of cover is best? There is no simple answer to this question; the best policy is the cover that is right for you and your business. Vehicle replacement cover is the most comprehensive and means you could buy an identical replacement van or pick-up - but the cost of that level of cover is high, and if an identical new vehicle isn’t required it could be seen as an unnecessary expense. Similarly if you require a like-for-like replacement due to work commitments, finance GAP cover will settle the outstanding debt but leave you having to rearrange a new van from scratch. Where can I buy van GAP insurance? It is quite likely that the dealership you used to purchase your van will offer you GAP insurance and you may wish to obtain a quote from them for the level of cover you require. However you are under no obligation whatsoever to purchase from the dealer, and any attempt to suggest that is the case is false. It may be that the dealer can offer you the best price for GAP cover but you are completely within your rights to search elsewhere and compare prices before signing up. As a further protection from any suggestion that a vehicle price can be impacted by whether or not you accept GAP insurance at the same time, a rule was introduced by the Financial Conduct Authority in 2015. This states that the dealership is not allowed to sell GAP insurance at the same time as the van, and must leave at least two days between agreeing a purchase price and the sale of GAP. Since its introduction, the FCA says the number of buyers shopping around has doubled and sales of GAP has fallen by up to 23 percent - suggesting fewer buyers feel they need it. Van GAP insurance policies usually require you to have comprehensive motor insurance. The policy will only pay out if the vehicle is a total loss and will not cover any optional extras - like racking, secure tool boxes or roof racks - unless stated in the GAP insurance policy. However, what is and is not included or excluded will be specific to your policy, so it is of vital importance to read documentation - and all of the small print - thoroughly to ensure you understand exactly what you are paying for so you can be certain that you have the level of cover you need. How am I protected by the law when buying GAP insurance? As GAP insurance is a financial product all the same laws and protections apply to it. Most importantly for anyone considering GAP insurance you are entitled to a cooling-off period once you have signed the paperwork. This is normally a period of 30 days, but you should read all the supplied paperwork carefully to ensure this is the case. In the event that you have a complaint with the supplier of the GAP insurance that is not resolved within eight weeks you can raise your complaint with Financial Ombudsman. How much should I pay for GAP insurance? To get the best deal it is important to do a little homework first to work out a rough idea of the amount of cover you will need, based on the purchase price of the van or pick-up and its depreciation over the period you want the cover for - you can use the Honest John Used Van Pricing Guide to help you; too much or too little cover could be a waste of money. The purchase price of the van. The period of cover (between 12 and 48 months is most common). The amount and type of cover provided. As an example, a three-year vehicle replacement policy for a brand-new vehicle with the maximum amount of cover available will be at the most expensive end of the scale, whereas 12-months of cover for an older vehicle on a finance GAP policy will be as cheap as it gets. This is where the calculations you make before searching for quotes are crucial. It is vital to work out the potential size of the gap, because if you can cover it yourself financially then GAP insurance might be an unnecessary expense- but if cover is required, an accurate figure will help you choose the right policy at a good price. *These examples are based on a van with a value of £25,000 bought within the past four months. We've made a lot of assumptions and your circumstances will be different - so make sure you check to see what it will cost you. Need GAP insurance for your van or pick-up but want to keep the cost down? Try these money-saving tips to cut the cost of your premiums. 1Do you really need GAP insurance? It might sound like a silly question but don’t assume that you need van GAP insurance - the best saving is if you don’t buy it at all. The circumstances for each individual will be different, so don’t feel pressured into buying it; take your time and consider how you would manage financially if your van or pick-up was declared a total loss and there was a shortfall in the insurance pay out. The crucial factor with GAP insurance is the vehicle’s depreciation versus the price you paid for it or the cost of replacing it. Use the Honest John Used Van Pricing Guide to get an idea of how your van will depreciate in the years after purchasing it. The faster it depreciates the bigger the gap is likely to be between the vehicle insurance payout and any outstanding finance or replacement costs. If you have decided GAP insurance is required it is crucial to decide what you need the policy to do. If it is just a matter of ensuring any finance is settled easily, finance GAP insurance will cover this eventuality. Return to invoice GAP insurance will ensure you get back the money you originally paid out on purchase, while vehicle replacement GAP insurance will provide you with enough funds to buy an identical example of your vehicle. Lower levels of cover will cost less money, so only choose the policy type you really need. With all your important information in hand try as many different online GAP insurance providers you can find. You won’t find GAP insurance policies on many price comparison sites so you need to visit as many as you can. While the policy details might appear slightly different in detail you should have enough information to compare providers on price. Some GAP insurance providers don’t provide online quotes so you need to get on the phone to seek out the best deals. It often takes a little more time than getting quotes off the web but it can deliver better prices; a little extra effort could save you a tidy sum over the years. Occasionally GAP insurance providers dish out discount codes or incentives to get you to sign up to them. Don’t be too swayed by a massive discount - you still need to make sure the policy is right for you and is genuinely cheaper than the alternatives, but it is worth a quick Internet search to see if you can snag an extra discount. Once you’ve found a price you’re happy with, take some time to read all the details. As with any financial product it is essential to go through it carefully to check what is and isn’t covered, if any fees are applied and if there are any exclusions before you sign up. If there is something you do not understand go back to the policy provider and ask for an explanation. Although it can be tempting to pay your GAP insurance monthly you usually end up paying a premium for the privilege. Skip the interest charges if you can and pay it annually. Because it is a financial product you have 30 days from the day the GAP policy begins to change your mind and receive a full refund. If your circumstances change in that time you can cancel the policy without financial penalty, so don’t hesitate if you have a change of heart or find a better deal elsewhere. Even if you have passed the 30 day mark, don’t forget to cancel the policy if it is no longer needed. If you plan to sell the vehicle, part exchange or have some other change of circumstances where it is no longer required you can save yourself months of premiums by cancelling as soon as it has no further use. Designed to ensure you suffer no financial shortfall if your vehicle is written-off or stolen, GAP (guaranteed asset protection) insurance can be a useful financial product for some people. However, with some van dealers being promised commission for every GAP policy they sell, there is evidence that in certain cases it can be mis-sold, potentially in a variety of ways. "You need GAP insurance to get approval for van finance"
This constitutes mis-selling. GAP insurance is a separate financial product to any vehicle finance you may take out, and whether you do or do not take GAP will have no bearing on whether or not you are approved for finance on a van or pick-up. "GAP insurance is included within the finance agreement for your van"
If you bought your van using finance provided by the dealer and this included GAP insurance being rolled into the same agreement, you may well have been a victim of mis-selling. GAP insurance should be treated as a separate agreement to the vehicle finance - a period of two days should be left before GAP can be offered once a vehicle finance agreement has been made. "Your GAP insurance policy has no exclusions"
Like any insurance policy, there are always circumstances under which a payment will not be made in the event of a claim. It may be a challenge to evidence the fact, but if you were told that your policy covered you in circumstances that proved not to be the case in the event of a claim or as outlined in your policy documents then you may have grounds for a claim of mis-selling. "This is the perfect GAP policy for you"
GAP insurance is not a one-size-fits-all financial product, and with variables including the type of cover, period and maximum claim value it is imperative that the seller understands your requirements and tailors the policy to suit those. If you feel that you were sold a policy that provided far too much or too little cover, or was wholly unsuitable for your needs then it is possible your policy was mis-sold. "You’re guaranteed to get a payout!" One method of mis-selling GAP insurance is to draw up a policy that is so restrictive that the chances of receiving a pay out in the event of a claim are extremely small. Your policy should cover circumstances that are possible and not require you to stay within exclusions that are unreasonable. What should I do if I think I've been mis-sold GAP insurance? As you can see, there are many ways in which GAP insurance can be mis-sold. If you think you have been a victim of mis-selling then these are the key steps to take. Start by collecting any paperwork you have in relation to your GAP policy as well as the purchase of your van, however small or insignificant they may seem. Also gather together any other information you can get about the circumstances surrounding the sale; the names of employees you spoke to throughout the process, dates, times and locations, phone numbers; all of it adds to your weight of evidence. Once you have all your information together and have gone through it carefully, a complaint to the dealer principle is the next step; you cannot escalate a claim without giving the complainant a chance to respond first. Write a clear, concise and dispassionate letter, sent via recorded post, stating your claim and providing evidence to back up why you believe you have been mis-sold. A written complaint requires a response within eight weeks by law. If you get a response within the time frame and are happy with it, well done! If the response is unsatisfactory you may wish to respond to it; again, try to remain dispassionate and stick to the facts rather than opinions. Keep all written responses and if you receive e-mail responses, keep both printed and digital copies. If you are unsatisfied with the response from the dealer principle you can raise this to the next level. You can write to the complaints department at the head office for the manufacturer or dealer group, following the same methods and including relevant evidence to back up your claim and explain why you remain unsatisfied. Alternatively you can take your complaint to Citizen’s Advice. As GAP insurance is a financial product it is regulated by the Financial Conduct Authority, and as such complaints can be made to the Financial Ombudsman for adjudication. The Ombudsman is independent and will look at both sides of the case before making a ruling on the matter. If this still does not result in satisfaction you can go the the small claims court, but this will incur a financial cost and may not get the result you hope for.